Plan your wedding at Roses Beach. 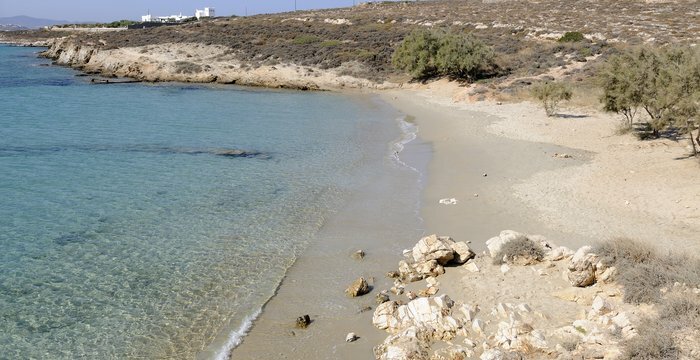 Paros is blessed with some of the best beaches in the Aegean. 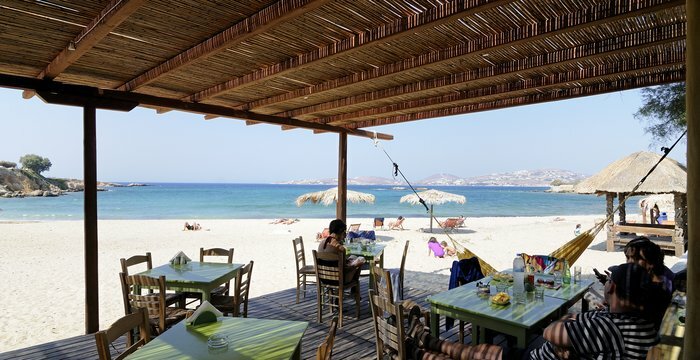 Here are some of the closest beaches to your holiday accommodation in Paros. An easy two minute walk from your hotel accommodation in Parikia, Paros. This long wide stretch of white sand lies at the northern end of the bay, an easy 10 minutes walk from the port. Here you’ll find many amenities including sunbeds, umbrellas, restaurants and beach bars. 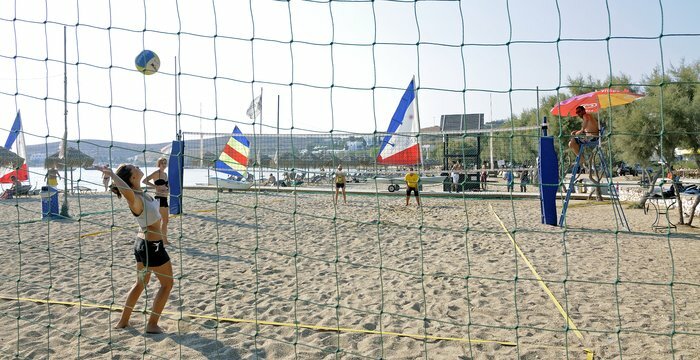 There's a volleyball court and the Sailing Club of Paros (NOP) which offers sailing lessons at all levels to all ages from fully qualified instructors. 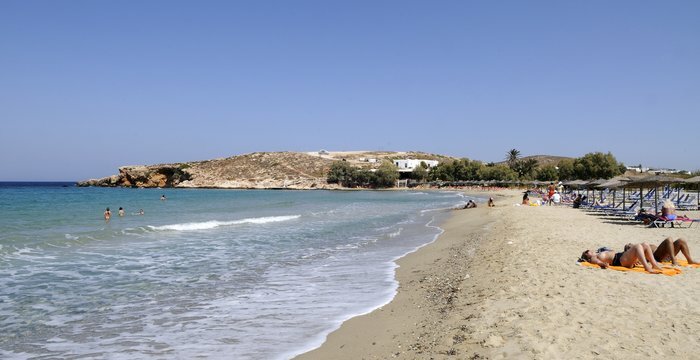 Krios is a small sandy beach on the other side of the bay from Parikia, Paros island's main town, sheltered from the at times, strong summer Meltemi winds. The beach is equipped with sunbeds, umbrellas, and backed by a beach bar / restaurant. It's around a 15 minutes cliff-top walk from the hotel, or a five minutes drive. This is arguably the area around Parikia’s finest beach, a long wide expanse of golden sand with crystal clear waters fed by underground springs. From the beach there is a great view across the bay to Parikia. The sea is noticeably cooler here so perfect for sweltering mid-summer afternoons. The jetty at the end of Marchello is the second stop if you catch the small ferry from Parikia, or you can walk (around 20 minutes from the hotel along the same route as for Krios beach.) Marcello is fully developed, with beach bars, sunbeds and umbrellas, and if you’re lucky an old man who will try and sell you “froo-its, grapes, froo-its.” To the left of where the ferry docks are two small undeveloped beaches with no amenities but thy are well shaded and less crowded during the peak season. Around a 15 minute walk south of Parikia, 10 minutes by bus from the port, or 10 minutes by car from Roses beach hotel. Known locally as Delphini, this beach is perfect for days when the south wind or Sirocco is blowing. Around 500 metres from the shore are a group of rocks with a small underwater cave. It’s a relaxed and friendly beach, popular with locals and backed by two restaurant/ bars with very different cuisines. Sunbeds and umbrellas are available. This is a big wide stretch of sandy beach. It can be very windy here but on days when the Meltemi is blowing straight in, it’s perfect for body surfing as the waves can get extremely high. 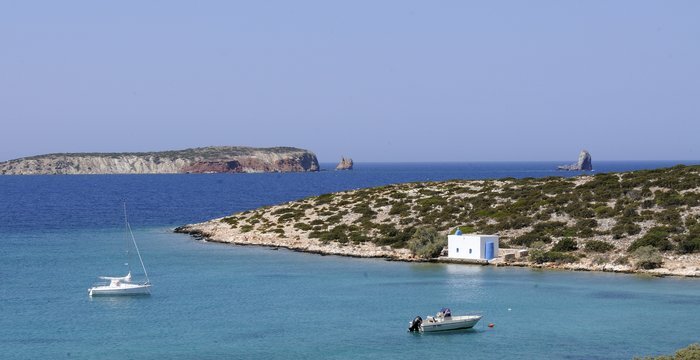 On calm days Parasporos is a beautiful place to relax with a view out to the small islet of Agios Spiridon. The beach is fully equipped with sunbeds and umbrellas at one end near the bar and restaurant while the southern half, after the taverna is more tranquil with tamarisk trees providing shade. It’s around a 20 minute walk or 10 minutes on the bus from the port of Parikia, Paros, and 10 minutes by car from Roses Beach Hotel.